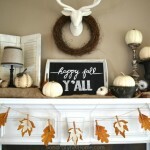 This mantel for all seasons was shared originally with the readers at Southern Hospitality. 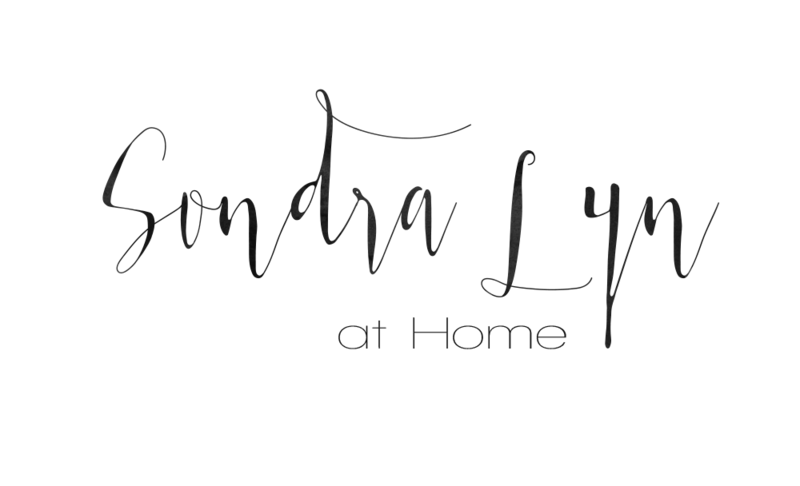 My friend, Rhoda, the blogger at Southern Hospitality, is also one of the founders of Haven Conference, which I have attended 3 of the last 5 years. Since Rhoda was so heavily involved with running the conference (and REALLY busy!! ), she graciously asked me to contribute a post to her blog during that time. It was an incredible honor and I also want to be sure my regular readers see this mantel too, so I’m sharing it with you today! 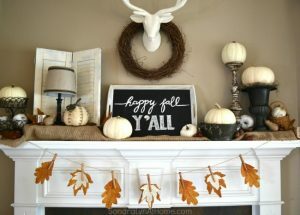 I love to change my mantel seasonally or just to update my decor. But it’s perfectly OK to leave your mantel the same for an indefinite amount of time. This is one of those designs that can be used any time of year, and will look good for any season. 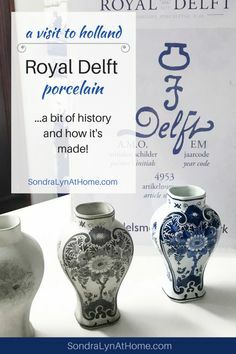 I also like to use nostalgic, vintage or inherited items too. 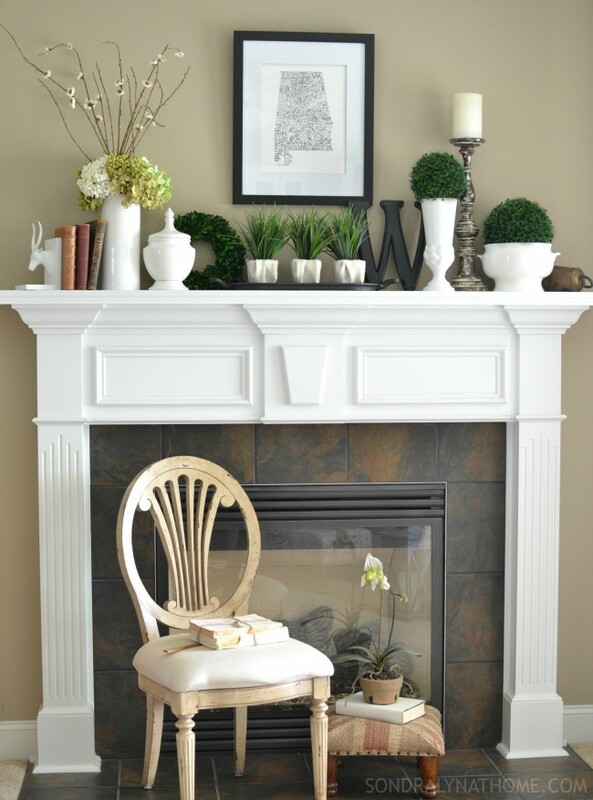 There are several meaningful elements to this mantel design. The focal point of this mantel for all seasons is the framed state art that my two lovely daughters gifted me for Mother’s Day. I am so proud to say that I have known the artist since she was a little girl, growing up with my girls! You can see some of her art on her Facebook page, The Moonlighter – Art by Lyndsay Abel. 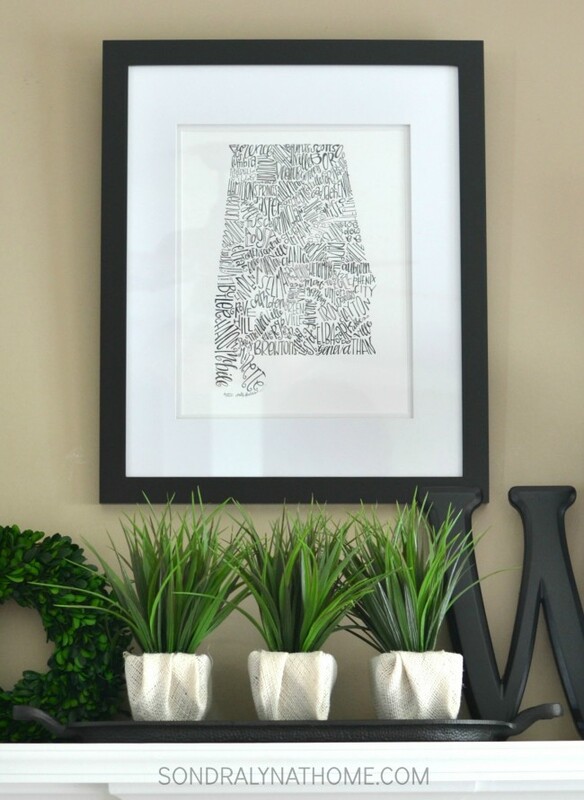 Set in a white mat and a dark frame, the city names that make up the shape of the state show up beautifully! This is one of those fun pieces of typography art that I am so drawn to. Can you guess what southern state I am from?? Beneath the art, sitting on the mantel, is an awesome iron griddle that was found while thrifting. On the griddle are three faux grass botanicals. I simply wrapped the dark pots with white burlap to contrast with the iron and the art frame. 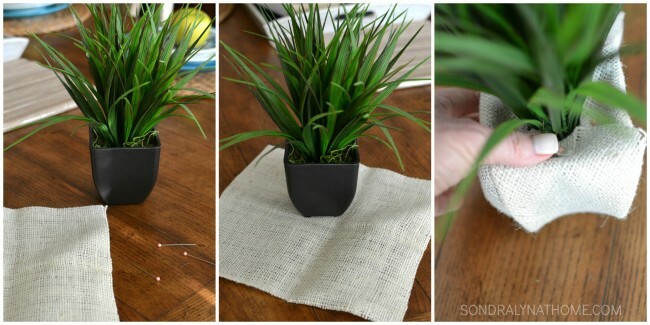 I love real botanicals, of course, but it’s OK to use high-quality fakes (yes, I am giving you permission – LOL!). The little boxwood wreath is real. It’s also OK to MIX real and faux! I cut squares of the white burlap (which fortunately, I already had) and folded up the sides. Since I didn’t have floral pins, I just used some quilting pins I had on hand. They worked fine. 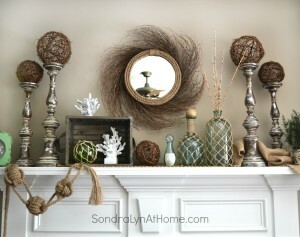 One of my goals in decorating this mantel was to shop my house, using items I already had. 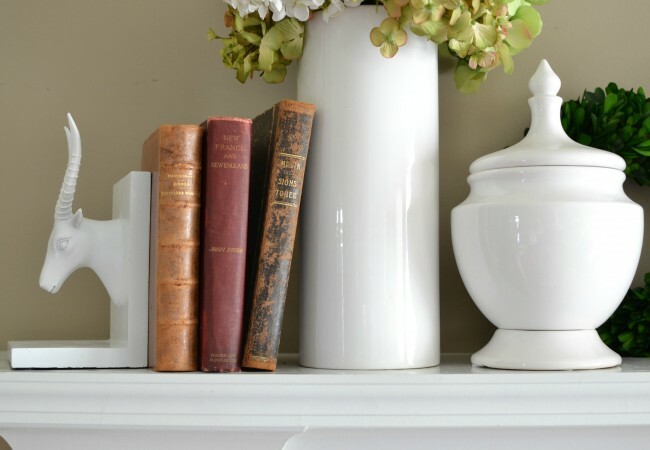 My collection of white ware yielded several possibilities, as did my small collection of antique books. I didn’t have to purchase anything to design this mantel! Yay!! Playing off the framed art is the large ‘W’ monogram. And notice the brass cowbell on the far right? It’s been in my family for many years and has a wonderful texture and patina. In keeping with my philosophy that mantel design should extend into the room, I created a vignette in front of the fireplace. 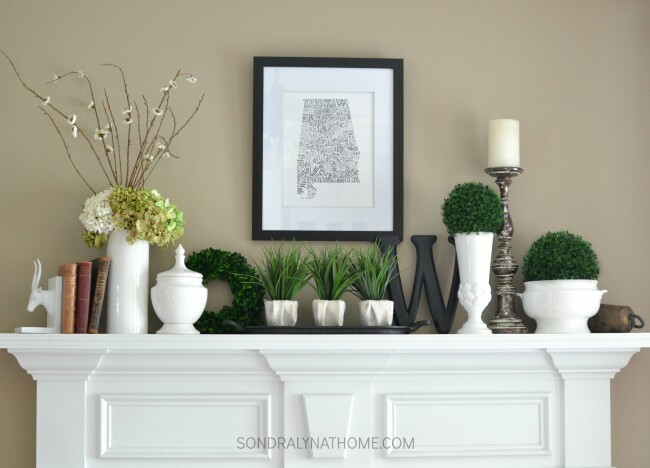 You can read more about why it’s a great idea to pull decor down from the mantel in this post: 5 Reasons to Decorate in Front of Your Fireplace. It was fun to use my little jute uphostered footstool beside the chair holding antique coverless books and a vintage 18-inch wooden ruler. So glad you could join me today! 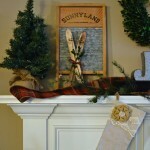 I hope you loved my mantel for all seasons!! 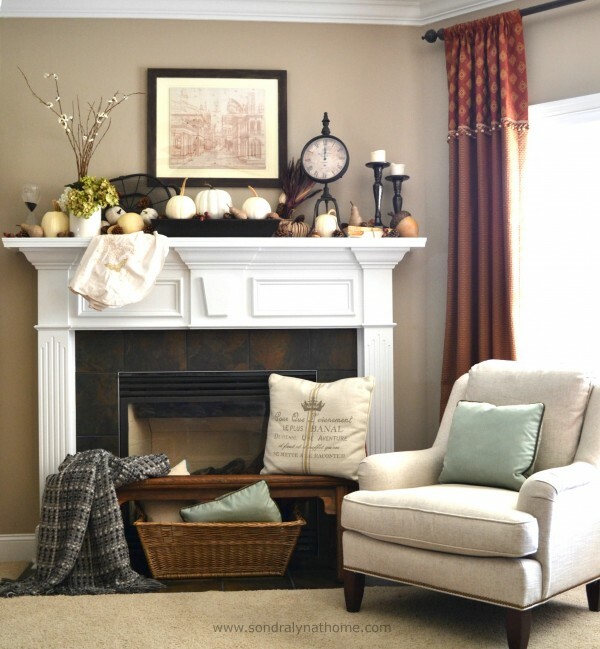 How about you… do you decorate your mantel for the seasons or leave it the same year-round? 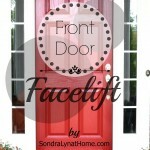 « How to Insulate Garage Doors – and Why You Should!